« Orange County CW is #13! 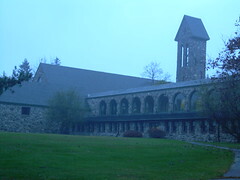 This morning I drove out to the Trappist monastery in Spencer for mass and to pick up their weekly donation of food for the poor in Worcester. The autumn trees are stunning. I should spend less time in the city. Iowa: The national Catholic Worker gathering begins in Iowa today. Four folks from Worcester will be there. 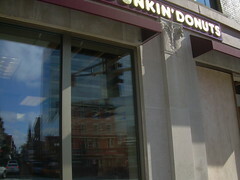 Donuts that are not Winchell’s: Dunkin’ Donuts is moving to Harrington Corner . . . right across Main Street from the current location. Debate: If you missed the Mass. gubernatorial debate last night, this “alternative debate transcript” captures the plot and substance, if not the actual words used. Project planning: The opt out project was planned with Backpack.